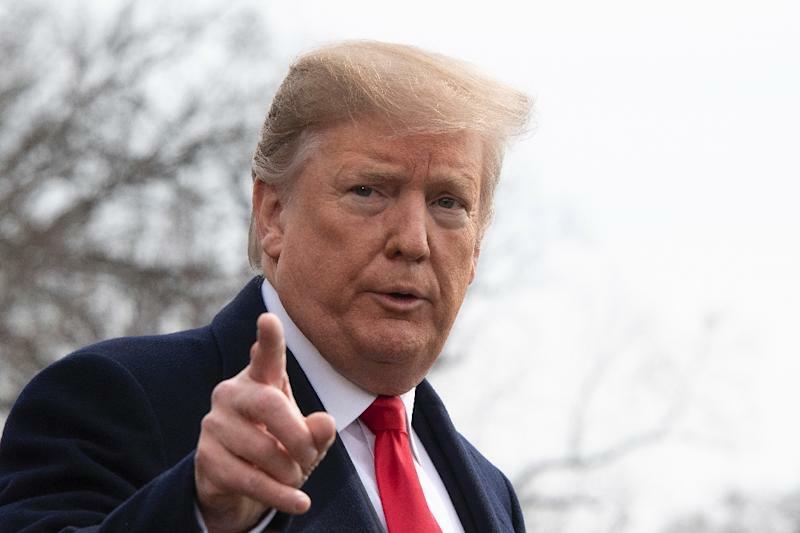 Washington (AFP) - US President Donald Trump said Wednesday that US tariffs on Chinese imports could remain in place for a "substantial period," dampening hopes that a new trade agreement would see them lifted soon. While recent comments that the talks are going well has fueled optimism, Trump seemed to dash hopes trade relations between the world's two largest economies would return to normal. "We are talking about leaving them for a substantial period of time," Trump said of the tariffs. "We have to make sure that if we do the deal with China, that China lives by the deal." Trump again told reporters at the White House the talks with Beijing were "coming along nicely." But American officials have insisted that any agreement have teeth -- including the ability to impose tariffs unilaterally should China begin backsliding on any commitments to end alleged unfair trade practices. Beijing also has expressed willingness to increase purchases of American commodities such as energy and soybeans but analysts say they will be reluctant to accede to demands that could weaken the communist party's hold on power -- such as fully exposing state enterprises to market forces. Despite Trump's trade wars, the US trade deficit with China last year hit a record, as avid US consumers drew in foreign-made goods while weakened US sales of agricultural commodities weighed on American exports. "I would say tariffs may be a factor in China," Powell said. "I don't think they're the main factor." On a volatile day of trading and with investors mostly preoccupied by the Fed policy meeting, Wall Street shuddered at Trump's trade remarks before closing the day mostly negative, with the benchmark Dow Jones Industrial Average down 0.6 percent.